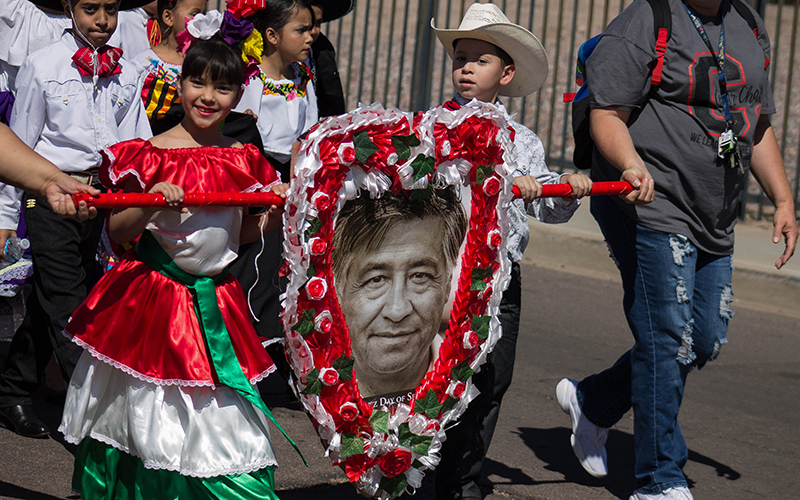 PHOENIX – From bright bailable (Mexican folk dance) dresses to tall mariachi sombreros and vivid-colored zarapes (serapes), boys and girls from Cesar Chavez Leadership Academy in Phoenix stood beside a large mural of a man they’ve never met but know through countless stories. 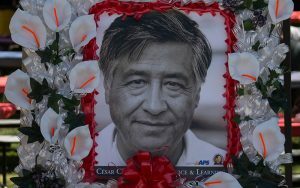 Students, parents, staff members, and community leaders gathered at the academy on Thursday to honor the civil rights activist and labor organizer, but they also expressed outrage over a proposal by a Tea Party congressman to change the name of Cesar Chavez Day to Border Control Day. 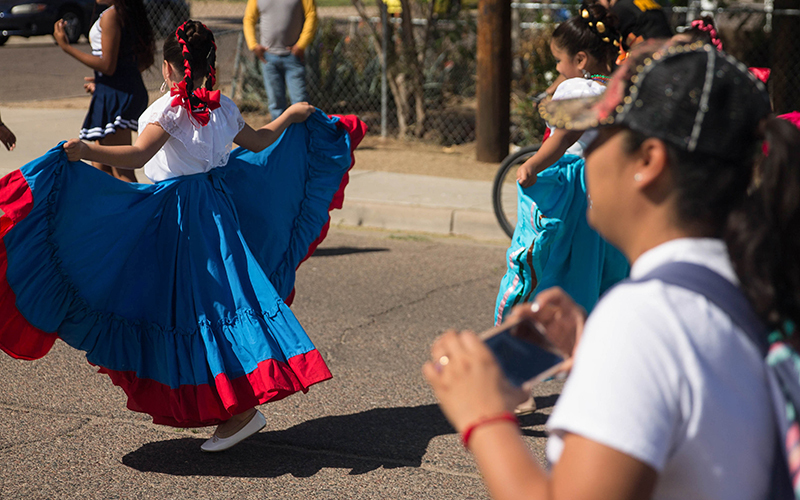 Arizona House Minority Leader Rebecca Rios, D-Phoenix, who was present at the celebration, said Gohmert’s proposal is unnecessary and insulting. Sofia Miranda, an eighth-grader at the academy, also opposes the name switch. 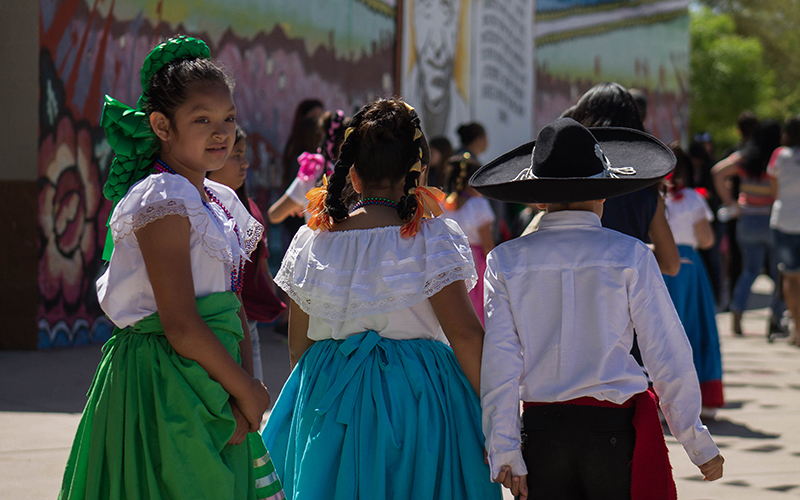 Principal Andrea Groeninger said the commemoration is an annual tradition at the school, taking place just days before Chavez’s birthday, March 31. 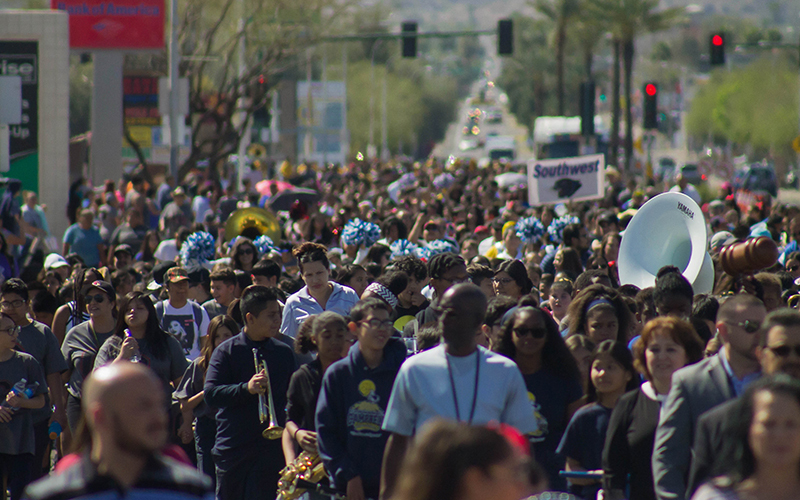 “It starts off with an assembly that is student-planned, student-run, student-executed, followed by a parade with all of our district schools, invited guests and dignitaries, and we end with a celebration and carnival for the day,” Groeninger said. 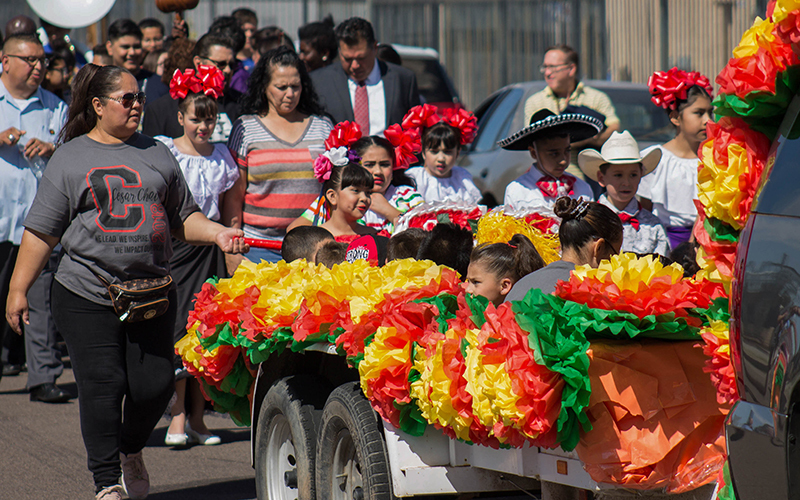 Miranda said that, as someone of Mexican heritage, Chavez is particularly important to her. Groeninger said when she thinks about Chavez and his legacy, she thinks about her students and their families. Adopting the name Gohmert proposed would unjustly represent Chavez, Groeninger said. “If we are calling something ‘Border Wall Day,’ we are not talking about unifying, and we’re not talking about bringing people together, we’re talking about doing the opposite of that,” she said. A vote on Gohmert’s resolution has not been scheduled.